A Million Dollar View in the Heart of the Sunset Strip! This is the perfect vacation spot in Los Angeles! The small, cozy house is perched 800 ft above sea level with unobstructed, spectacular views of Hollywood, downtown Los Angeles and all the way to Long Beach, the ocean and Catalina Island. Photos cannot even capture the breath taking view! This Hollywood Hills house is just 2 minutes from famous night spots like Saddle Ranch, House of Blues and The Comedy Club as well as other restaurants and hot spots. Ten minutes away from Hollywood Blvd sightseeing, Universal Studios, trendy Melrose shopping and Beverly Hills, and 30 minutes to Venice Beach, Santa Monica Pier and Malibu. The house also has my personal listings of recommended sights, restaurants and shopping to save you time and money and get the most out of your vacation. All the photos of the view on this page were taken from the balcony by me personally! The house may be small, but it is so cozy, it's on quiet deadend street, AND it's 2 minutes from the Sunset strip. Even after all these years I am amazed by the view and still soak it up! The view is amazing and the location is perfect. The view, the view and also the view! Some people end up doing nothing but reading a book on the balcony when they stay here! Being 2 minutes to the Suset strip and right in the middle of everything in L.A. makes this perfect for sightseeing! Amazing view of L.A. facing downtown skyline. View stretches from mountains to catalina island and is more breathtaking then photos can even show! On a clear day you can see Catalina Island 25 miles off the coast. Guests can park on the left side of the carport and there's also unrestricted street parking. Two bath towels and a hand towel provided. Selected gourmet coffee, English Breakfast tea and green tea are available. Small 2 seat indoor dining area and full four seat outdoor dining area on 200 sq ft. balcony. Outdoor dining with full table, 4 chairs and swing that seats 3. House has amazing 180 degree unobstructed views of the city, including downtown Los Angeles, Hollywood, Long Beach, Catalina Island. It is located in the heart of the Sunset strip just 2 minutes from Saddle Ranch, House of Blues, Katana, Comedy Club, Skybar, and tons of other restaurants and entertainment venues. Had a wonderful stay, will definitely stay here the next time! The place was perfect! My wife and I spent most of our time on the deck outside enjoying the incredible view. 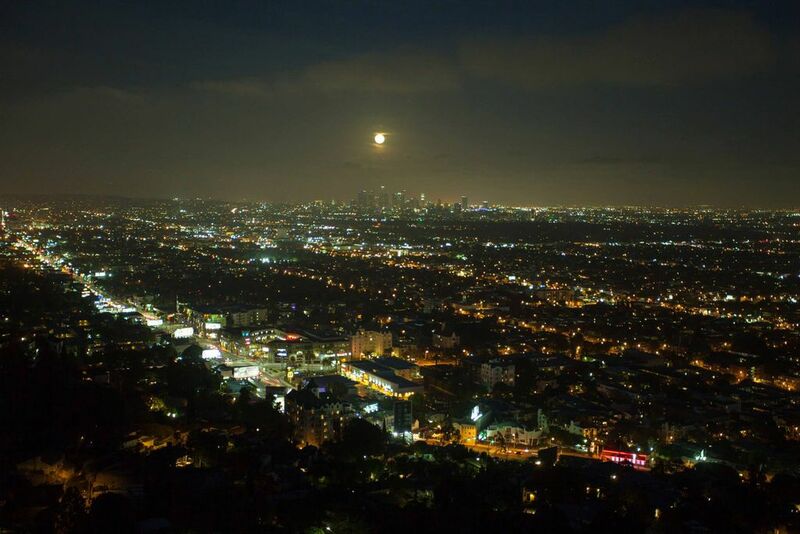 Amazing view, and great location for nearby restaurants and bars in West Hollywood. Apartment was very clean and well stocked with the essentials. Additionally, Scott has posted clear instructions on how to use the TV and such. Great host! Did I mention the view was fantastic? Fantastic views and great, central location! Scott was great to work with from booking to arrival. He was timely in responding to inquiries and provided great information about the rental. The view from the house is mesmerizing and worth every penny. We used Uber the entire stay to get around and had no issues. Lovely place! Scott has a fantastic place for your stay and he is a fantastic host. Everything was perfect from beginning to end and the view is still exceptionnal even for the second time in that house. Staying at Scott’s little jemfor 4 nights on our way to my Daughters wedding in Joshua Tree let me relax before the big event. It was extremely relaxing to wake up and have a cup of coffee while watching the city come to life. The location of Scott’s place was very convient and made getting around LA very easy. This will be our go to place in the future. Thanks Scott for being so accommodating on our last morning. This property is ideally situated in the heart of the entertainment capital of the world! It is a 10 minute drive to the Hollywood Walk of Fame and all the sites there; 5 minutes (or 15 minute walk) to world famous Sunset Strip with it's famed restaurants, nightlife, comedy and entertainment; 15 minutes to Universal Studios and Beverly Hills; and the best part is that it is situation high in the hills with a panoramic view of Los Angeles, Hollywood, Sunset Strip, San Bernardino Mountains, and Catalina Island off the coast!